This program explores the relation between cinema, architecture and music. If cinema is the art of imagination, architecture is the art of reality, music can be a bridge that brings both worlds together. The architect who is the starting point of this program: Constant Nieuwenhuis, is actually not an architect but a visual artist. He is probably most well known for his role in the COBRA movement, a European avant-garde movement active from 1948 to 1951, who’s members were taking the point of view of a child, an untamed and unspoilt view resulting in wild and colourful paintings. After COBRA was dissolved, Constant focuses on questions about how people live and how cities should be build. He starts designing an imaginary city; New Babylon. With this project he envisions a "world wide city for the future" where land is owned collectively, work is fully automated and the need to work replaced with a nomadic life of creative play. New Babylon is inhabited by homo ludens, who, freed from labor, will not have to make art, for he can be creative in the daily practice of his life. Constant’s architecture is free from restrictions like budget, commercial interest and political influence. His architectural models, drawings and paintings are autonomous and revolutionary; unlike the architecture we experience everyday. In Jeux de reflets et de la vitesse from 1925 Henri Chomette starts with geometric forms in motion, then an almost seamless transition takes us into the Paris metro, traveling through tunnels and up through town, suddenly changing perspective to the Seine and then back again into the metro train. The film gives a fast paced modernist view of Paris at that time, combining it with an imaginary space still to be realized. 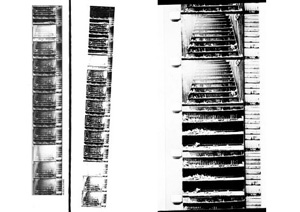 Henri Chomette coined the term ‘Cinema Pur’ to define a cinema that focuses on the pure elements of film like form, light, motion, visual composition, and rhythm. Ellard and Johnstone departed from a series of unpublished production photographs by the Hungarian artist László Moholy-Nagy. 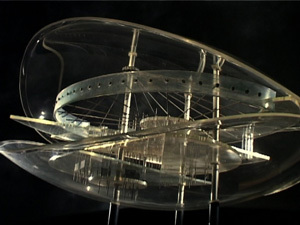 In 1936, while living in London, he was commissioned by fellow Hungarian film producer Alexander Korda to design a future city for the British science fiction film Things to Come. He created kinetic sculptures and abstract light effects, but they were rejected by the film's director because it was claimed to be “so rich a visual result that the editor did not dare use it”. Ellard and Johnstone rebuild the set in Site Gallery in Sheffield. 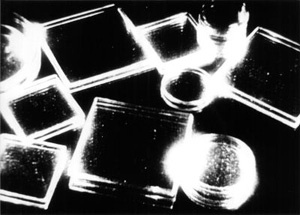 The film consists of abstract synchronized movement across and around this model to create a dynamic play of light, shadow, reflection, parallax, depth, surface and prismatic special-effects. The result is like a choregraphy for three dimensional forms in motion. A film made with hand coloured black and white photographs. We see a sensual woman in an imaginary space. 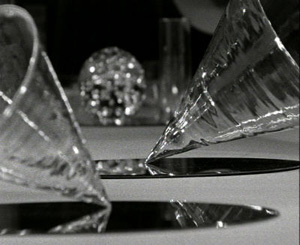 The filmmakers play with perspective, still-photography versus animated movement, and black & white versus colour. They continually cross the thin line between reality and imagination. Even the view through the windows is a landscape introduced by the artists. The space is organized in a geometric way but at the same time it seems to breath and move, connecting it with the sensuality of the woman. The film echoes the metaphysical paintings by the Italian painter De Chirico, with a similar enigmatic, brooding mood. 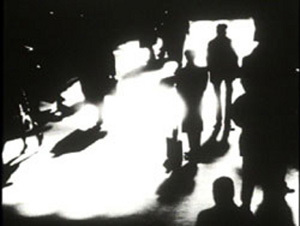 Crescendo is a silent film by Dutch filmmaker Andras Hamelberg, evocating music. 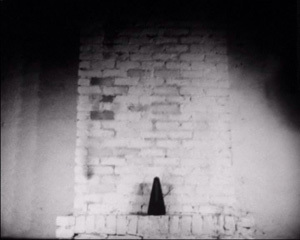 We see a metronome and a rough brick wall, through the movements of the metronome and changes in light, a rhythmical game develops in which space and time seemingly become fluid. A rare example of structural filmmaking from the Netherlands. In this film Jeff Scher shows us the main concourse of Manhatten’s train station. Build in the heyday of American long-distance passenger rail travel, Grand Central Terminal is the largest train station in the world by number of platforms. After the great east window was restored in 1998 to its original splendour, light flooded into the main concourse once more, an enormous space crossed by travelers in every direction. Jeff Scher shot with a 16mm camera and a number of filters, his favorite being a piece of scratched plastic, picked up on 42nd street. The refraction caused by this filter produces magical images, as if we are looking through a kaleidoscope. 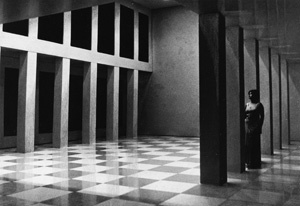 The utilitarian hall changes into a lyrical space.